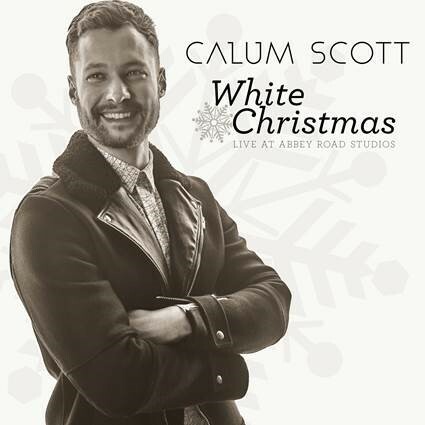 Just before the Holidays, Calum Scott released “White Christmas – 1 Mic 1 Take (Live From Abbey Road Studios).” And now Scott has plans to release his debut album, “Only Human,” on March 9th via Capitol Records. The lyric video for the first single, “You Are The Reason,” garnered over one million views within a few days- watch it HERE. Written by Scott, Jon Maguire and Corey James Sanders, the emotionally resonant piano ballad is one of numerous songs produced by Fraser T Smith (Adele, Ellie Goulding) for the album. Scott also worked with producers Jayson DeZuzio, Oak Felder, Oscar Gorres and Phil Paul. “Dancing On My Own” quickly charted in over 34 countries on Spotify, peaking at No. 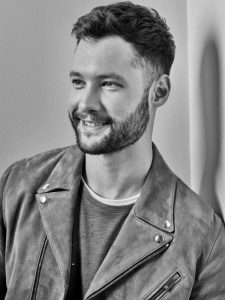 1 on the Viral chart in six, including the U.S. Now certified Platinum in four countries, it was the best-selling U.K. single of 2016 by a British solo artist and was nominated for a Brit Award for Best Single. The song has over 550 million streams worldwide, while views of the video are approaching 225 million. Scott wrapped up his first U.S. headlining tour earlier this year with sold-out shows across the country. While in the States, he performed “Dancing On My Own” on Late Night with Seth Meyers, The Ellen DeGeneres Show, Good Morning America and Dancing With The Stars. You are very welcome! This interview finds me on a train to London from my hometown to visit the kids from Great Ormond Street Hospital for their annual Christmas party! So excited to see their little faces – its very heart warming to see children just enjoying themselves even they are going through the toughest things that we can’t even imagine. I am currently listening to ‘Every Breath You Take’ by The Police and thinking about it, I once had a dinner with Sting.. When I recall moments like that, it just makes me laugh because its still so unreal to me! One song that gets me out of a bad mood is ‘Don’t Stop ’Til You Get Enough’ by Michael Jackson (my all-time idol).. you can’t NOT move or sing to it!! But just recently I am loving the stuff that Khalid is putting out, such a talent.. I am such a big fan of Robyn and absolutely love your rendition of her song, “Dancing on My Own” so I am curious to know how that all came together? Why did you decide to cover it? Did you receive her blessing before? Has she reached out to you at all about it? Thank you! The decision to cover ‘Dancing On My Own’ happened very organically.. I was looking for inspiration and this song more or less fell into my lap! I love the original version anyway and very much related to the lyrics myself so I recorded a verse and chorus of the song and played it to my Mum and sister – they both cried, I knew then that I was onto something special! I’ve not heard from Robyn directly but after meeting Patrik Berger (the co-writer on this song), he said that she likes my version of the song which means so much – its credit to her what an outstanding songwriter she is! Growing up I was unsure of what I wanted to do and changed my mind every 5 minutes like most kids.. I was an avid skateboarder and imagined myself in the extreme sports industry but I got an injury which stopped me from pursuing that. Then I wanted to be in technology, then physiotherapy.. the list goes on. Music was always a passion of mine though and whilst studying music at school, I became a drummer and got my own kit at home which my Mum LOVED.. but I only actually discovered my own voice many years later, all because of my little sister; the performer in the family. One day she overheard me singing in my room and rather than tell me that I sounded good and that I should do something with my voice, she took it upon herself to put me into a competition and not tell me… I was NOT impressed initially but with the belief from my friends and family, I took to the stage for the first time and a passion ignited in me that I have never felt before! I can’t even really express how 2017 was for me – such a life changing year in which I have achieved and enjoyed so much!! From performing on Good Morning America right at the top of the year to being nominated for a Brit Award, to performing for incredible audiences all over the world and ending the year with the announcement of my debut album and tour, it has been an absolute dream come true! 2018… I don’t even know if my feet will touch the floor! My album will be out and I will be touring it in as many places as possible which I have wanted to do since I’ve been in this incredibly privileged position! My New Year’s Resolutions are to work hard, give everything 100% and enjoy every single minute! And to stop eating as many burgers and fries…. Literally, I had about 4 burgers last week….! I am very proud of my hometown of Hull. It’s not a huge city and not too many people know where it is or what’s there, but it is special to me; its where I was grown, where I have made some of the most special memories and where most of my friends and family still live! Its so important for me to go back and visit as often as I can – I’ve even written a song about missing my hometown! Hull is my little sanctuary, its especially important for me to remain grounded which my friends absolutely make sure of.. I was lucky enough to close the Paralympics in Rio De Janeiro last year and wore an awesome white jacket with embroiled blue flowers on it.. I showed one of my best friend’s the video of the performance and the first comment he made wasn’t “oh wow, amazing!! How did it feel? !”… it was “What the hell was you wearing?! Looks like one of my Nan’s blouses”… so yes, safe to say I stay grounded. Let’s talk about your newest single “You Are The Reason.” Where did the inspiration for this track come from exactly? How do you think this song prepares listeners for your forthcoming debut album? ‘You Are The Reason’ actually started out as ‘Without A Reason’ and was about anxiety and not knowing the cause of it. I believe most of us go through varying degrees of anxiety and I have personally suffered with it, but as we continued to write the song it dawned on us that no matter what we go through, however testing, the love you fundamentally feel for those special people in your life can overcome anything which I felt was a beautiful message that could be internationally understood, something I dream of with my songwriting. I think this song is a perfect follow up from ‘Dancing On My Own’ – it takes it back to that heartfelt, stripped and raw emotional performance that I just gravitate to. It’s another ballad, so it only part-prepares listeners for the album! I won’t give any more away than that! Speaking of your debut album, “Only Human”, what has it been like putting that first collection together? Were there any unexpected challenges? What other songs on this album are you excited to share with the world? 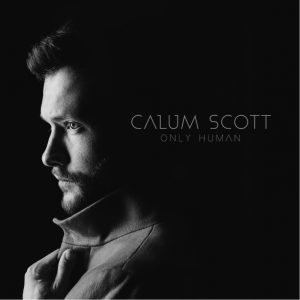 ‘Only Human’ was the best way for me to not only describe this record, but myself and my journey so far. I didn’t know how else to write an album other than from the heart and from personal experiences which became a therapy for me. The challenge for me was starting kinda slow with a few writing sessions to find my feet as a fairly new songwriter and doing a few live shows, then catapulted to signing with one of the most iconic record labels, travelling the UK, Europe and America promoting ‘Dancing On My Own’, playing on TV & radio, embarking on my headline tour in the US and all WHILST writing and recording my album (and trying to keep my feet on the ground!).. with who broke my heart, but mostly about how I felt, the ups and downs; it was only when I sat back with my incredible producer Fraser T Smith that the most obvious album title was ‘Only Human’ – we all feel, we can’t help it, but that’s okay, we’re only human. I just can’t wait to share a body of work with my fans that they have been so patiently waiting for! I was recently visiting London and had a chance to go walk by the Abbey Road Studios and I was blown away by all the musical history there. What was it like performing and recording there? Insane. Just insane. Walking through those gates and up to the building, you are hit with a musical nostalgia that is brimming with the best talent the world has ever seen, and me, a lad from Yorkshire was going to record and perform in the same building! And not only in the building, but in the famous ‘Beatles Room’! An absolute dream come true – I feel very privileged to have stood in the same spot as our musical legends. I definitely felt the vibes in there and I’m looking forward to going back. I would absolutely love to record a song for my second album at Abbey Road! Earlier this year, you went on your first U.S. headlining tour. What was that like? What were some of your favorite venues? Did anything surprise you about being on the road? My US tour was definitely on my ‘music bucket list’ since being in such a fortunate position to do so! It was SO much fun and a real eye opener to how many fans I have across the states! I had people flying in from all corners of the US to come see my shows and was just blown away! An American audience are one of my favorites because they just go wild if they love you! One of the things I love is that when you hit a huge note in a song, a British audience will tend to go crazy at the end of a performance or when it all goes quiet.. American audiences, if they hear a note or something that you did that they love, they raise the ROOF off the place!! It happened all the way through the tour and still makes me smile thinking about it! Some of my favourite venues were definitely the Troubadour, LA and The Gramercy Theatre, NYC but I must admit, I loved each one! The thing that surprised me most on the road is how much traveling is involved! The US is one HUGE place.. but for me, just playing to my fans was worth every mile. I feel I am still the same guy from Hull that left for LA to sign my deal last year and I pride myself on that. I do however, work hard at developing and growing as an artist all the time. I listen to varieties of music to widen my scope of singing and songwriting and am also looking to buy out block lessons of piano in 2018 so I can play my own stuff live which I think will add a really special element to my shows. I also try to work with lots of different people because collaborations can be magical and sometimes the unlikeliest partnerships can create absolute gold! I am done for 2017! It’s a nice feeling to know I can chill out with my family and friends and soak up that time because I have been given a warning from my manager, my agents and my label that next year I will barely be in one place longer than 24 hours! Next performance for me will be in NYC early next year so keep your eyes peeled for news on that! I have so many favorite shows; performing at the Maracanã Stadium to 40,000 people to close the Paralympics in Rio De Janeiro, performing to a sold out London show that made me cry on stage, almost every show in Scotland and Ireland that I’ve played has been a favorite, supporting the incredible Emeli Sandé on her UK arena tour, but one that stands out to me is my sold out homecoming show at Hull City Hall in March this year. Nothing like your home support and it was a special one because my sister opened the show which just meant the world to me. I cried at that show too.. I’m a bit of a sensitive lad.. I think social media is important for artists definitely, that tool has allowed me to reach each corner of the world.. but, its impossible to keep up with it all! I try and read as much as I can especially across Twitter and Instagram as it means a lot to me to connect with my fans not only through music but also on social media. Especially when it means so much to the fans that you engage with them, I feel so lucky that writing back to a fan or even just acknowledging their comments with a like can make their day! I will always control my own social media so when you write to me, its me reading it! The most joy I receive as an artist is seeing those real-time connections when I play live. Seeing people singing the words back to me, watching couples put their arms round each other, smiling or crying, or both, just all of us sharing those moments together brings me so much happiness and makes me never want to leave the stage. We are in tough times, but music is something that brings people together and will always bring people together. One reason why I loved Michael Jackson so much was that he wanted to ‘change the world’ with his music, something that I would love to achieve. One step at a time. Adele is my number one. I admire her songwriting, her voice is unreal and she has remained the same down-to-earth girl that started out which is 100% the same footsteps I wish to follow in one day! I am inspired by all those iconic singers; Ed Sheeran, Sam Smith, Sia, Beyoncé ALL of which I would die to work with! I have already worked with artists/producers that are a world of difference away from my own project such as Jonas Blue and Naughty Boy, but would LOVE to work with Calvin Harris – anything he touches turns to gold and he has such a sick sound! I just want to connect with my fans – they can take away whatever they want from my music. In fact, I implore my fans to create their own unique connection to my songs because that’s a dream as a songwriter – to write from personal experience or with a message in mind, but as the song travels, people take their own meaning and apply it to their own lives. Such a beautiful thing to be able to do. Always humbles me so much to read the stories of how my song relates to fans, in fact, I retweeted someone the other day who said ‘So its a thing now that when I get home from school, my Grandma asks me to play You Are The Reason and she sits with her eyes closed and smiles all the way through the song’, and yes, I cried again! I would say that if you have a dream in this industry or indeed in any profession, please chase them because dreams can come true! I was working in an office straight out of school for 7/8 years before singing became my full time career and now I pinch myself all the time that something I sat and daydreamed about at my office desk is now something I am lucky enough to do, day in, day out. Prepare yourself because it has its ups and downs, but ultimately if you love what you do, then it all becomes worthwhile however long it takes! I have to say how incredibly grateful I am for the support I have received over this last year. It has to have been the best year of my life and I am under no illusion that I would not be here, doing what I do, without the loyal and overwhelming support I have been surrounded by. It makes me unbelievably excited to see how 2018 turns out! An Interview With The Five Piece Canadian Indie Rock Band, KASADOR! An Interview With the Australian Indie-Electronic Duo NO MONO!